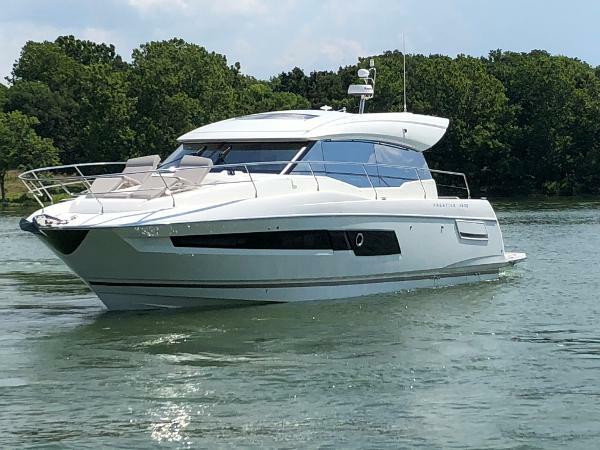 ** 2018 Prestige 460S ** Due to some unexpected life changes, the owner of this LIKE NEW 460S said to sell the boat NOW! He is willing to consider trades, as long as there is a significant decrease in cost of his holding (meaning he doesn't want to trade for a boat of similar or greater value). This like new boat was sold new by me to It’s one and only owner. It is 100% fresh water amd has always been kept under a covered dock. 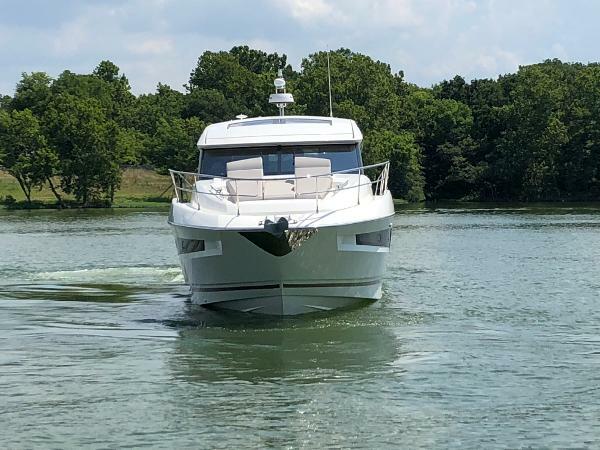 Features include: Interior Ambiance Wenge Upholstery Casamance Platine Trim Level Excellence 2018 Wenge Electronic Pack 2018 Chain Counter Elec Control Windless Mooring Kit Cover Grill Silicone Ext Kenyo Transom Galley Hydraulic Swim Platform Teak Cockpit Table Convert Windows External Curtains Outside Upholstery Vogue Eucal Generator 13,5kva 230v 60hz cocoon Deck Searchlight and LED Spots Extra Trop Air Conditioner Wenge Black Galley Counter Top Convertible Saloon into Double Slatted Bed Base in Forward Cabin Slatted Bed Base in Aft Cabin Carpet in Wheelhouse Cab V 39 Removeable Carpet Entrance Step Extra Engine Control in Cockpit English Owners Manual Bose Watertight Loudspeakers Sat TV Pre-Wiring Reception Cartographye Raymarine US Automatic Fire Extinguisher Dark Oak Hardwood Floor Grey With a remarkable sporty look, the PRESTIGE 460 S benefits from an incomparable design, open to the exterior. 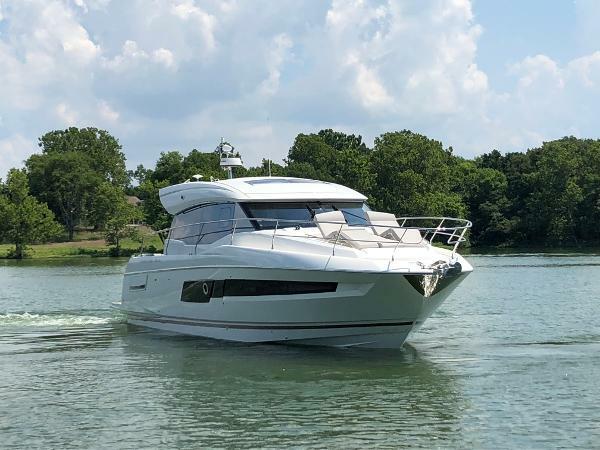 The PRESTIGE 460 S allows you and your family to enjoy an enhanced exterior space when fully opened and a more protected living space when closed. It is worth noting the enhanced modular design, featuring the new L-shaped cockpit, which transforms into a very large sundeck.